Congratulations to all GATE 2016 Toppers!!! 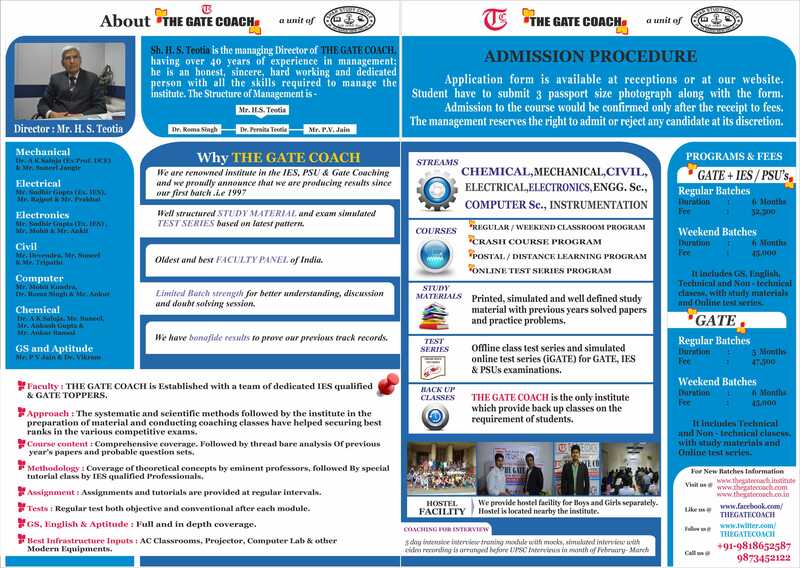 The Gate Coach is organizing an Award Ceremony to honour our GATE 2016 Toppers on April 10th, 2016. 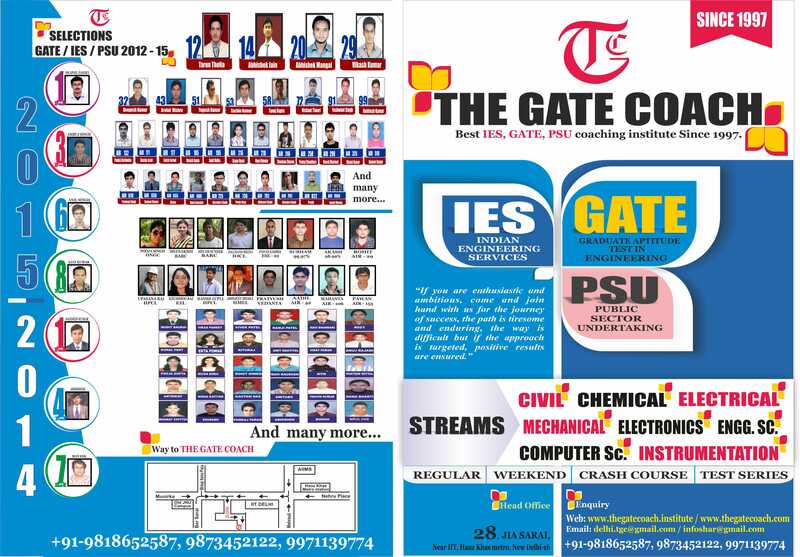 All our GATE Toppers and Rank holders are invited for the same. 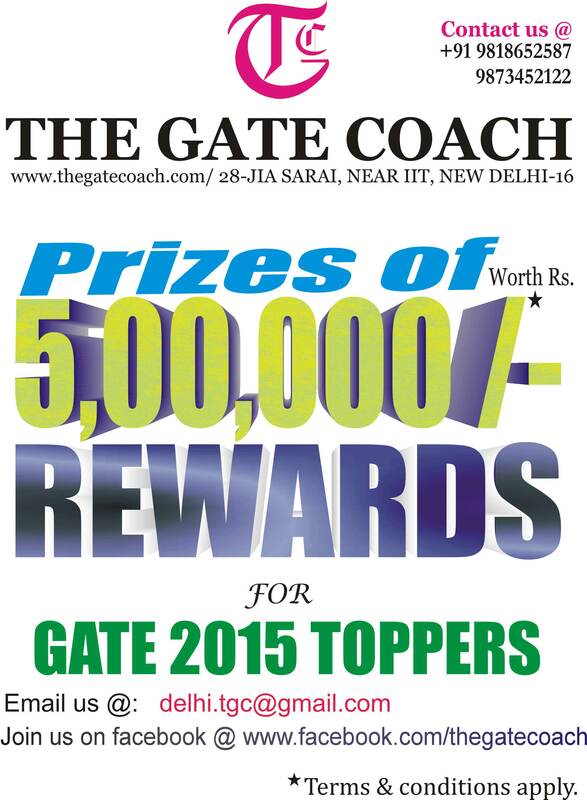 The Gate Coach is organizing a Prize distribution “Award Ceremony” to honour the GATE 2016 Toppers | Top Rankers. ranging from small component designs to extremely large plant, machinery or vehicles. through to installation and final commissioning. development and use of new materials and technologies. 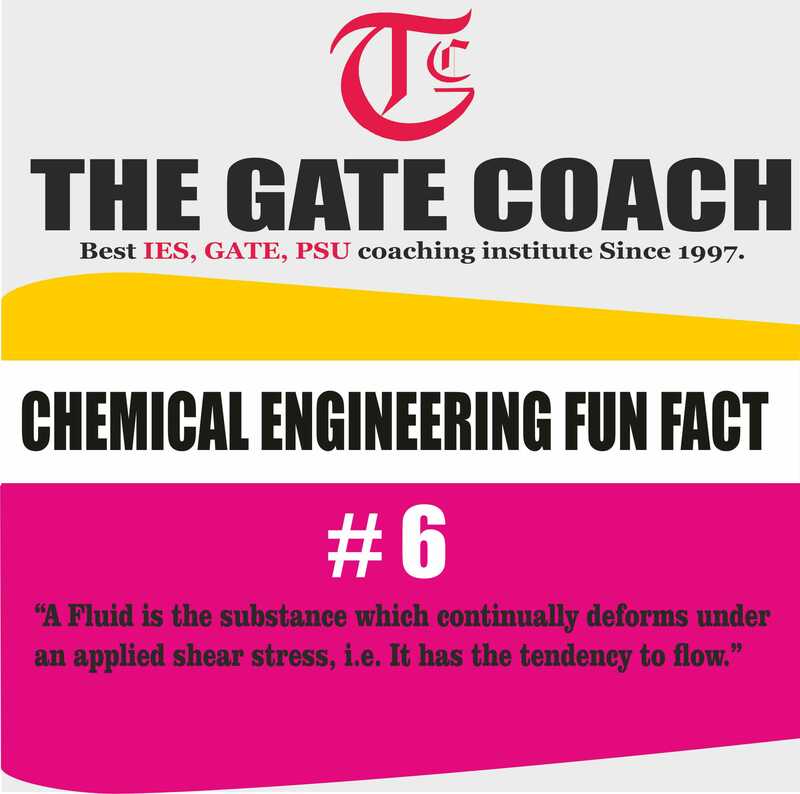 refineries or designing services within buildings.  monitoring and commissioning plant and systems. range of $20,000 to $28,000. principle engineers salaries are around $35,000 to $50,000.  Working hours typically include regular extra hours, but not usually weekends or shifts. sites. Factory production areas can be noisy. research base, or in regions where there is a local facility that supports specialist engineering.  Work is often to deadlines, particularly in consultancy work. travel may be required, depending on the employer and nature of the business. chartered engineers can apply for European engineer status (Eur Ing).